Products pictured are manufactured in English Pear and Titanium. 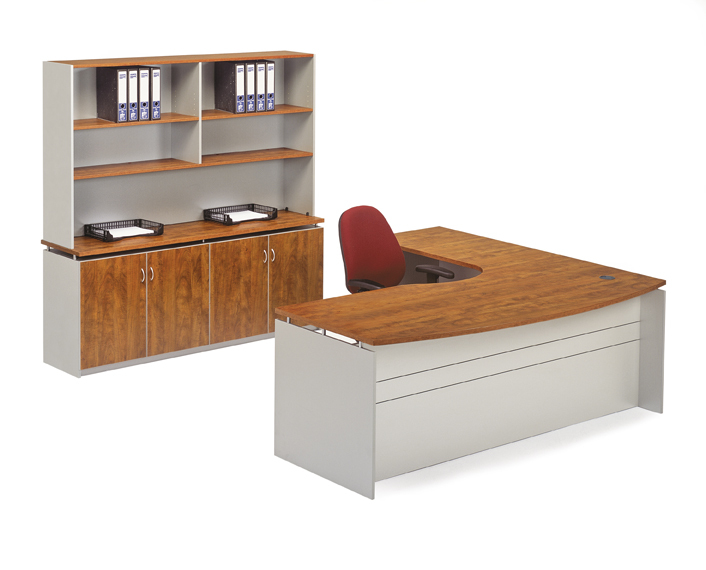 The Tempo collection is manufactured in Australia to the high Australian standards. The Tempo Collection dares to be different. It is innovative and bold, combining practicality, color and design. We have a Quality Assurance Certification (QMS) ISO-9001. This means our customers can expect their requirements to be fulfilled. Our capability to produce a consistent product and service allows Tempo products to carry a 7 year guarantee against faulty workmanship. Merlin Redwood, English Pear, Wild Cherry and Titanium. Do not be confused by similar named boards. These exclusive colors and patterns will bring your office settings to life.